The Marigalante Pirate Ship sails the beautiful waters of Banderas Bay each and every day of the year, without fail. 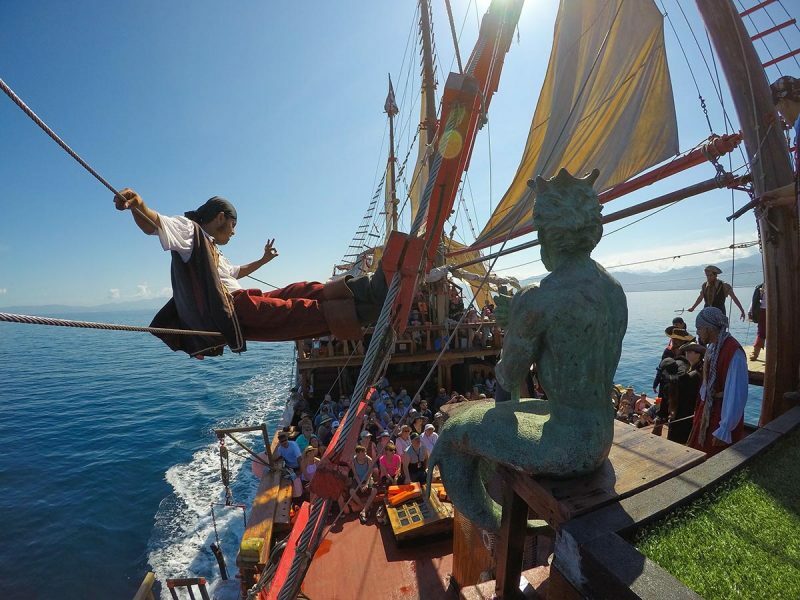 Indeed, pirate ship tours in Puerto Vallarta are legendary. 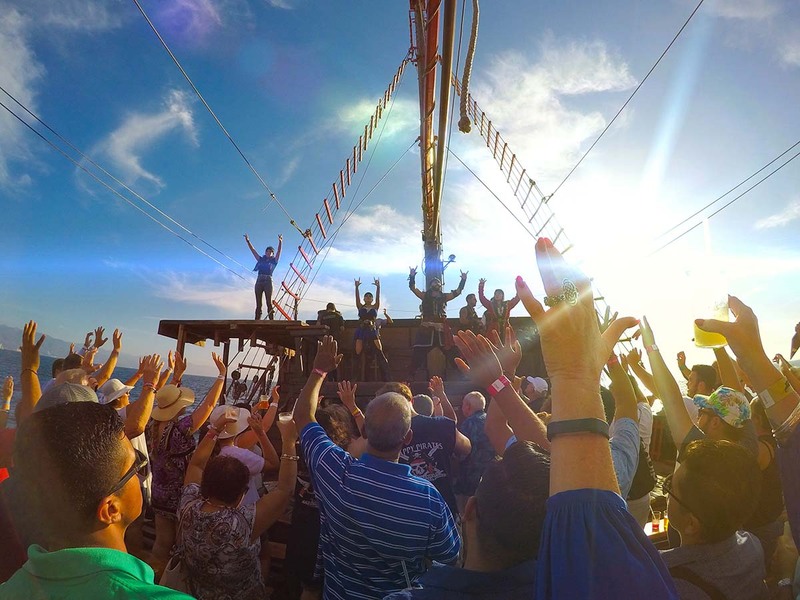 Even if you are unable to take a day or night tour on the iconic Marigalante pirate ship, you will surely appreciate its picturesque silhouette on the horizon or its fabulous fireworks each night on the Puerto Vallarta Malecon. 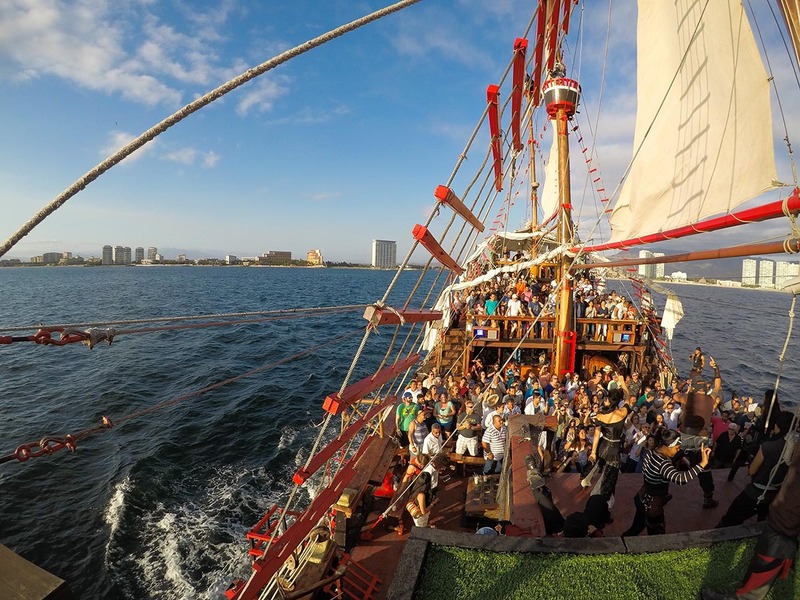 For more than 20 years, Marigalante pirate ship tours in Puerto Vallarta have been delighting visitors, providing vacationers with the best entertainment and memories to treasure forever. 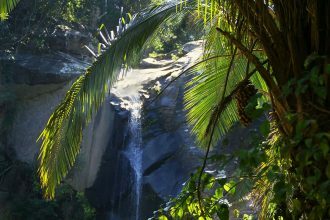 Find out below what makes it such a special tour. 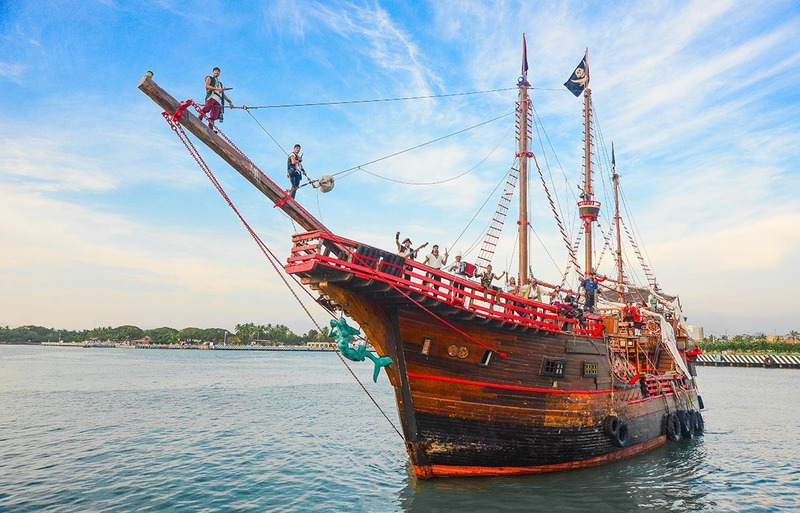 The Marigalante pirate ship is an exact replica of the Santa Maria ship that Columbus sailed upon searching for the Americas. 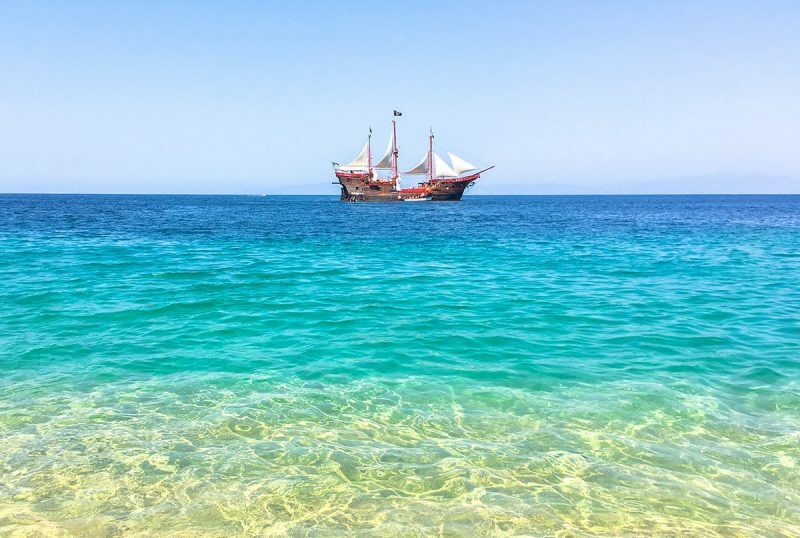 The Marigalante ship was built with real wood and features four decks along with three wooden and impressive masts that have real sails to catch the wind to sail Banderas Bay (with a little help from its motor too!). Which of the Pirate ship tours in Puerto Vallarta will you choose? 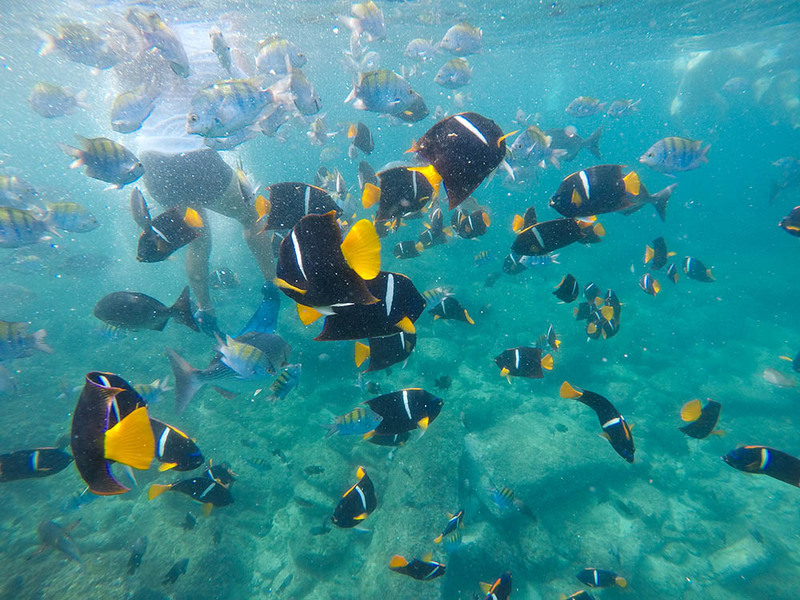 The Marigalante ship offers three fantastic tours. There is a day tour, night tour, and a Canadian tour. 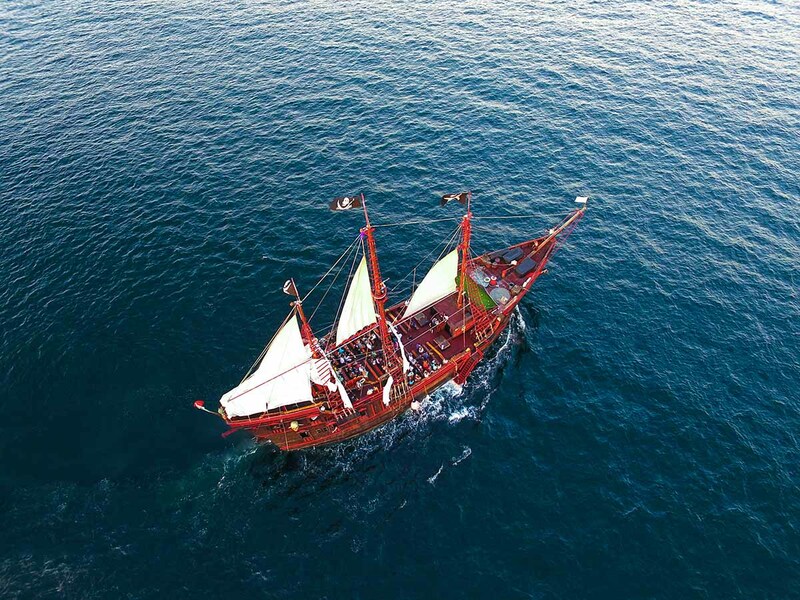 You can bring out the entire family on the Marigalante Pirate Ship day tour. 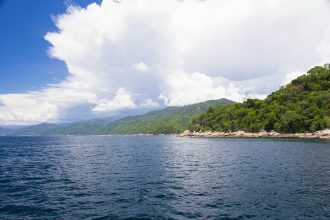 The day tour is an all day tour that will take you and your family to the Majahuitas Island, which is a mystical and spellbinding place. When you aboard the ship you will be treated to a breakfast buffet and a lunch buffet that is delicious and will provide you with the energy that you will need to enjoy all the activities that this top pirate ship tour in Puerto Vallarta has planned for you and your family. Another bonus and perk is there is an open bar available, so you can have as many drinks as you want and your glass will never go empty. 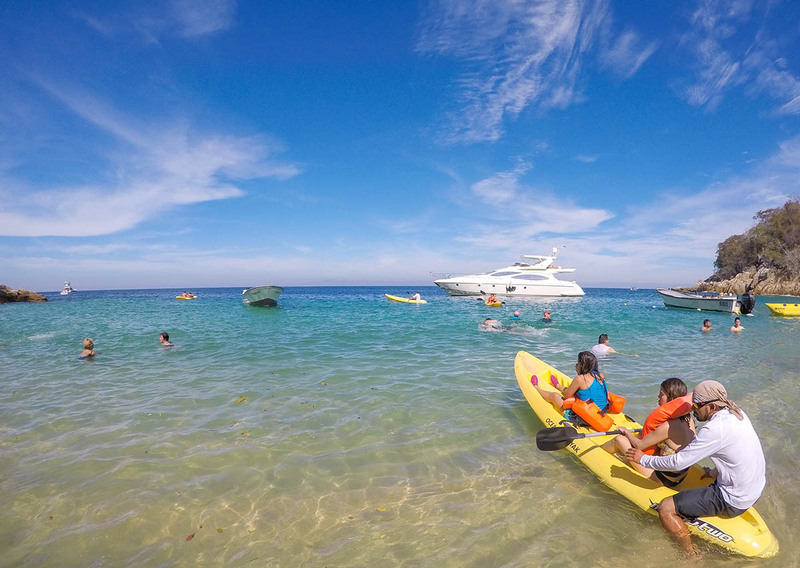 When the Marigalante pirate ship hits land, you can sit back, relax, and soak up the sun or you can emerge into the many watersports that include banana boat riding, snorkeling, kayaking, and scuba diving. 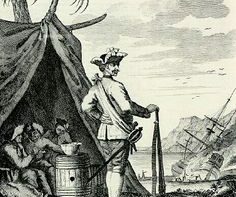 If you are more of a land person, then you can play some volleyball on the beach or go hunting for the buried treasures. 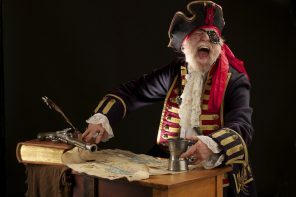 Of course, guests can expect to see an outstanding pirate show, thrilling sword fights with cannon blasting, and the professional and acrobatics. 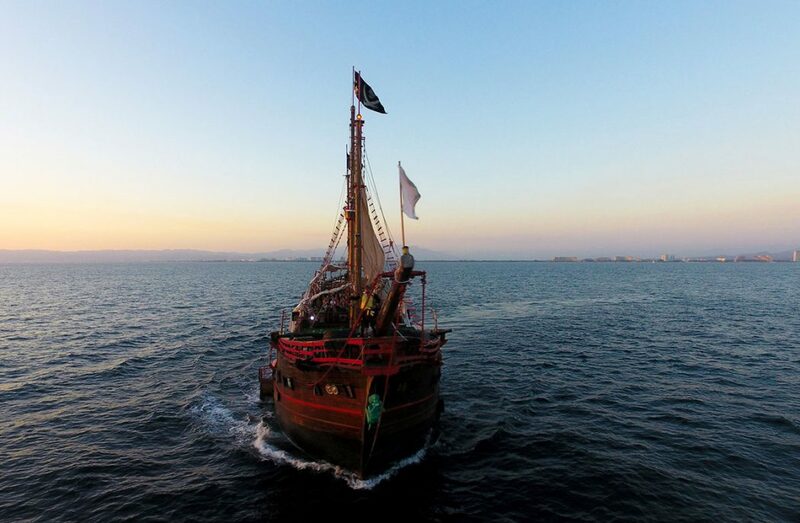 The Marigalante Pirate Ship night tour will take you cruising on the Banderas Bay where you can see Puerto Vallarta from the water as the sun starts to set. 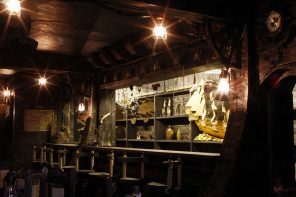 An open bar awaits you aboard the Marigalante ship. 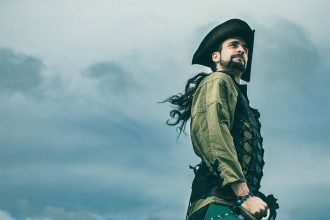 Guests can grab a drink, sit back, and enjoy the best swashbuckling excitement and show that awaits you. 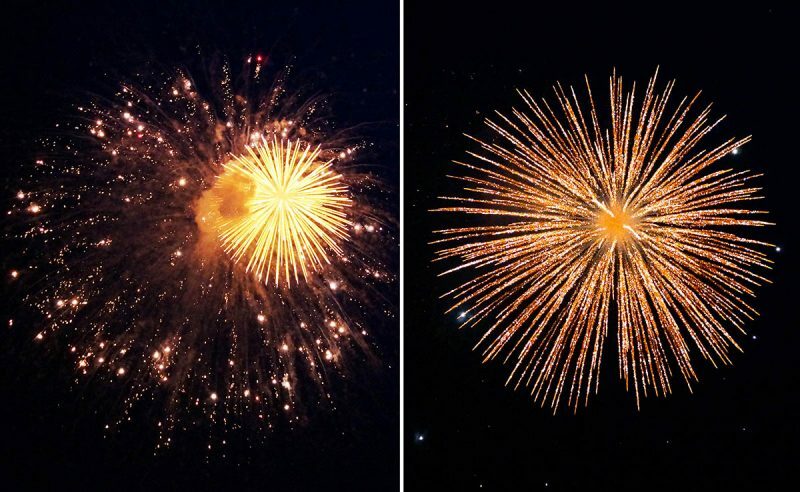 The pirate battle has sword fighting along with acrobatics, then the night ends with fireworks. Below deck is where you will be served a delicious dinner. 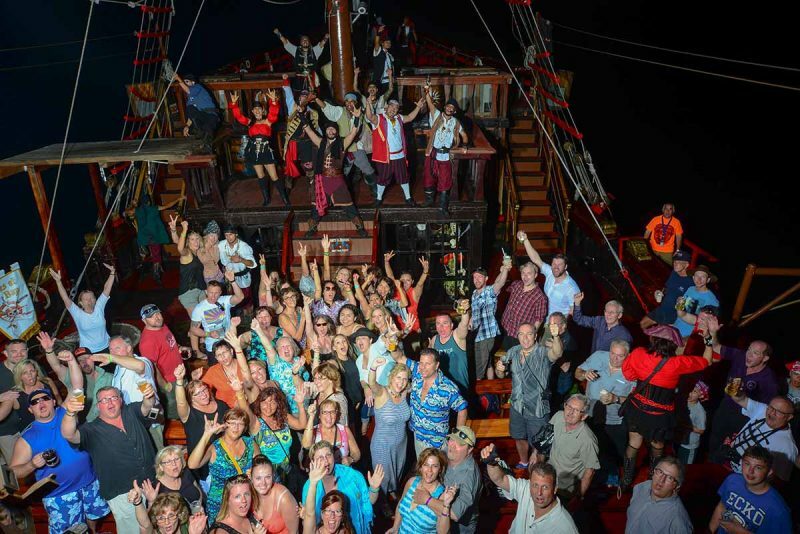 An evening that you will truly treasure will occur on the Marigalante pirate ship. Canada pirate fans are in for a treat with this four hour night tour. 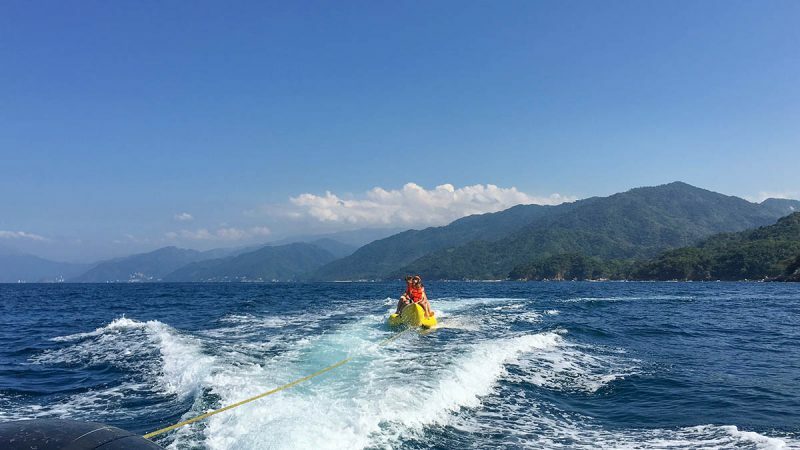 This is a new tour that has been added and fun and laughter occurs during one of the best pirate ship tours in Puerto Vallarta especially crafted for Canadians. You can start the party with a drink from the open bar, then you and your fellow Canadians can toast a drink while the sun is setting. 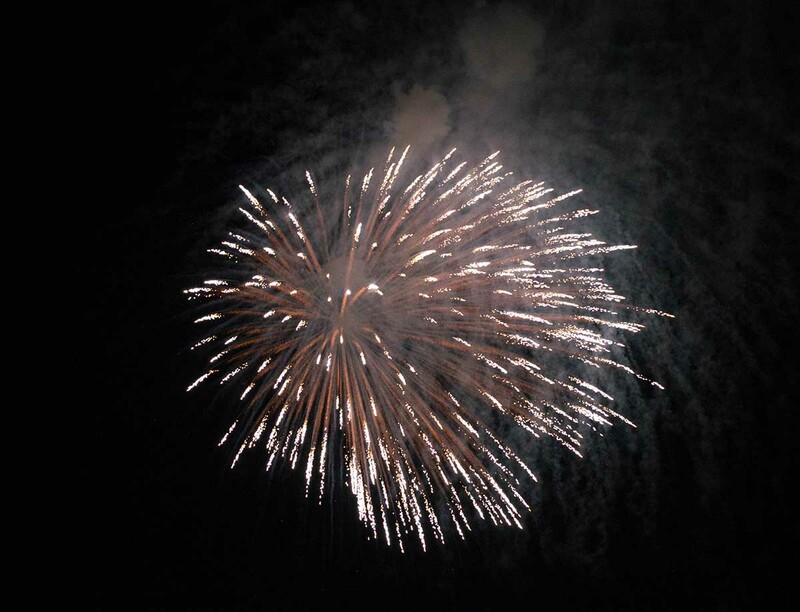 There is also a new pirate show that includes sword fighting, dancing, singing and then a fireworks show. 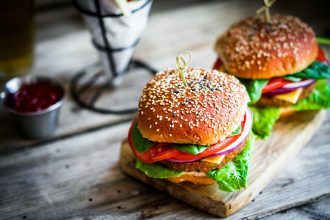 When you go on the Canadian four hour night tour you will be playing games, dancing, singing, and enjoying a delicious dinner that is three courses. The Marigalante Pirate Ship tours in Puerto Vallarta are some of the most exciting tours that you must attend when vacationing in Puerto Vallarta. Boulevard Francisco Medina Ascencio Terminal Marítima, Puerto Vallarta, Puerto Vallarta , Jal, México.